Passing by lakes and bogs, this 19-mile trail connects the Alborn-Pengilly Railroad Trail to the town of Goodland. Set in the northern hardwoods landscape of Minnesota, it makes for a particularly colorful ride in the fall. 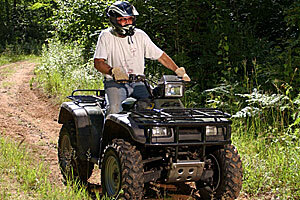 The trail is provided by Itasca County, the Itasca Trail Riders ATV Club and the Red Rock Riders. Available in Pengilly and Goodland, along Hwy. 65.